The Pont d’Arc cave is open all year. Les Coudoulets is located just several kilometres from the Pont d’Arc cave, a replica of the “Chauvet” cave, which opened on 25th April 2015 and has already seen more than a million visitors. 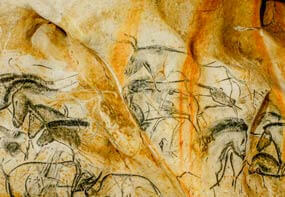 You will be able to explore, over a 29-hectare area, the reconstruction of the cave with its paintings and engravings. 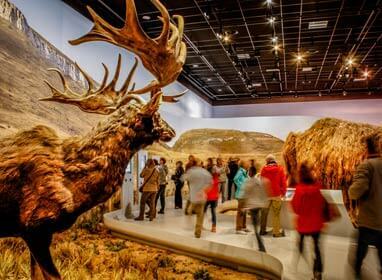 … There is also a teaching centre and an exploration hub, to help visitors understand how our ancestors lived in Aurignacian times. The Pont d’Arc cave was granted UNESCO World Heritage Classification in 2014. Discovered in December 1994 by three local cavers, the cavern has never been opened to the public, in order to preserve the cave painting masterpieces, dating from 36,000 years ago.